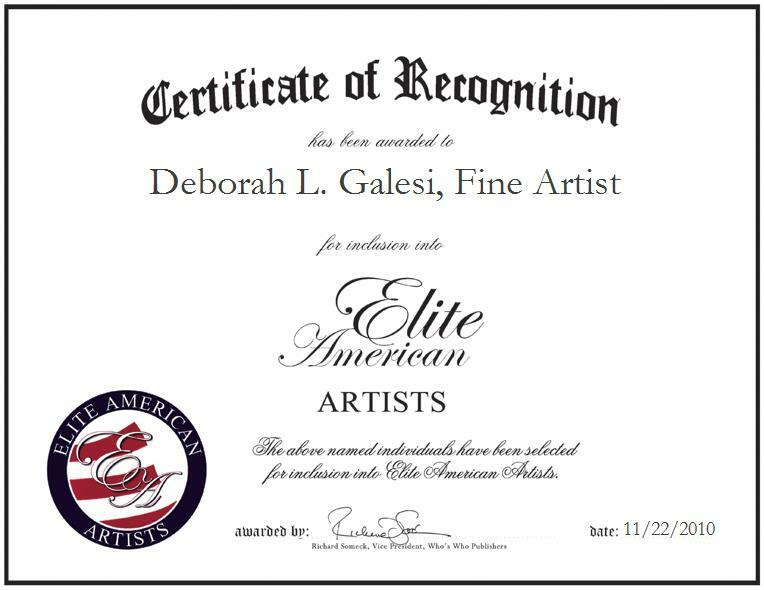 Kihei, Hawaii | November 22, 2010 | Deborah L. Galesi, Fine Artist for Infinite Moment, has been recognized by Elite American Artists for her dedication, achievements and leadership in oil painting. With over four decades in the art industry, Ms. Galesi’s expertise includes the fusion of old master techniques and futuristic ideas. As a Fine Artist currently with Infinite Moment, Ms. Galesi is able to expand on her artistic abilities. Passionate about creating portraitures, she discovered a love for oil painting as a child and was encouraged to follow her passion by her teacher. She has studied privately in New York and Florence, where found her love of portraiture. She continued her private lessons with Maestros Raymond Whyte and Gene Scarpentoni from the Art Students League in New York City and was subsequently able to show her work in New York, Colorado, New Jersey and France. She has been fortunate to exhibit her work in the United States, Italy, France, Australia and Japan. Ms. Galesi has taught pictorial techniques in the United States for five years and in Italy at the Liceo Artistico. In 1987, she won the competition at the National Art Centre of New York. Since then she has received various awards and commendations in international competitions and exhibitions. But her greatest achievement was having the opportunity to launch an international L’ Atelier. With her insurmountable experience in all aspects of art, life, and cultures, Ms. Galesi advises others in the art industry to stay the course; that no matter how many struggles you may find along the way, if you stay persistent and continue towards your goals you will achieve them. A graduate of the University of Colorado, Ms. Galesi earned a bachelor’s degree in fine arts and psychology. She retains affiliations with the Professional Register of European Artists. 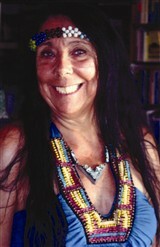 In addition to winning the National Art Centre of New York competition in 1987, Ms. Galesi has been honored with various awards for her contributions to the art industry, including International President’s Award for Iconic Achievement from Healing through the Arts in Cambridge, England (2009); Lifetime of Artistic Achievement: Certificate of Merit Award in Cambridge, England (2008); Professional of the Year Award in Fine Art from Strathmore’s Who’s Who (2007); Certificate of Appointment by the Secretary General of the United Cultural Convention in Raleigh, NC (2003-2006); Top 100 Artists in Healing through Art and Avanti Senpre Avanti Movement from International Biographical Centre in Cambridge, England (2005); Meritorious Achievement for the Service of Art in Cambridge, England (2003); Diploma of Dedication from The Marquis Who’s Who Publications Board (2000-2003); Outstanding Intellectuals of the Century, Cambridge, England (2002); Outstanding Intellectuals, Inductee, Outstanding Scholars of the 21st Century; Woman of the Year Award from The American Biographical Institute in Cambridge, England (2002); Who’s Who in the Century from International Biographical Centre in Cambridge, England (2000); Ambassador for the World Congress of Art, Science and Communication. For more information on Deborah Galesi and her work, please visit her website at http://www.dl-galesi.com.